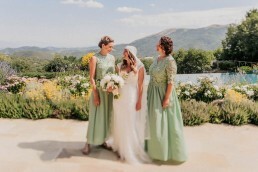 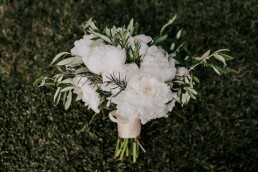 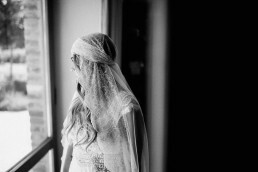 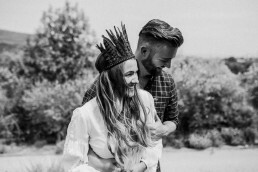 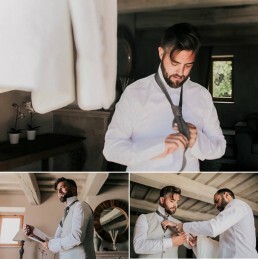 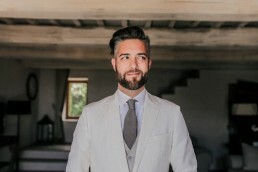 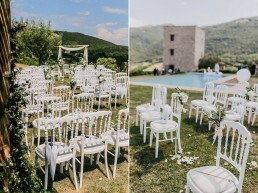 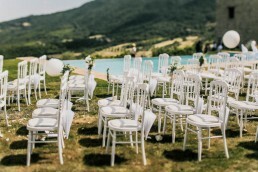 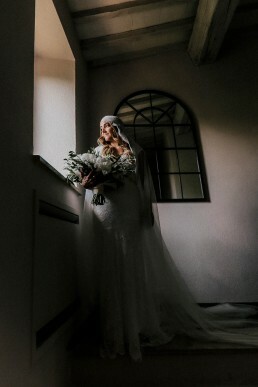 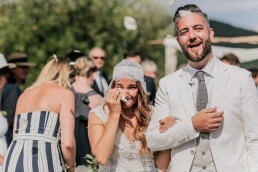 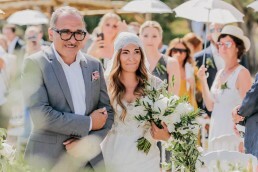 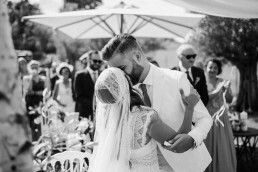 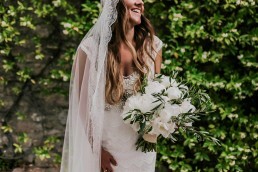 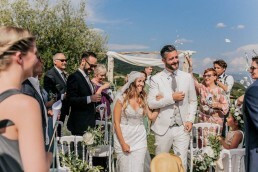 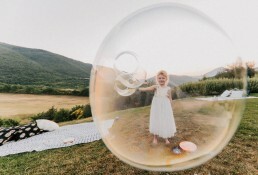 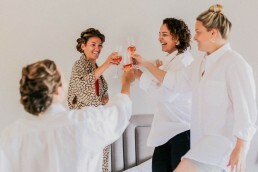 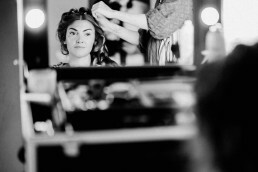 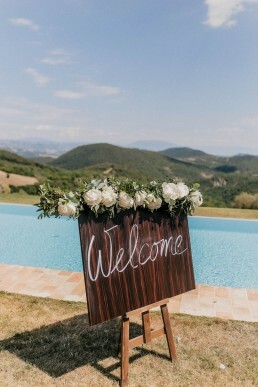 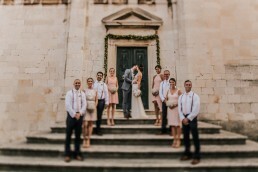 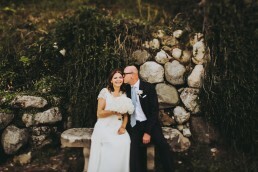 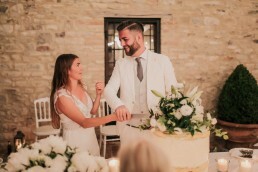 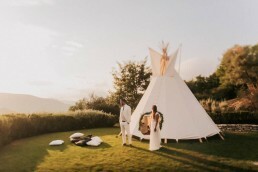 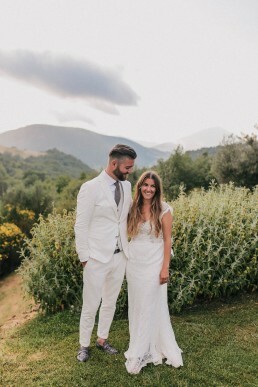 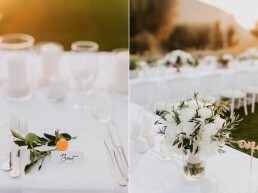 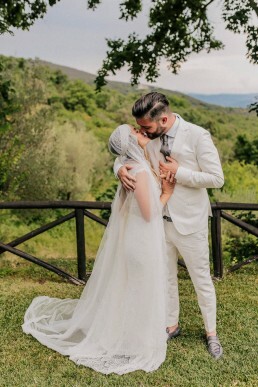 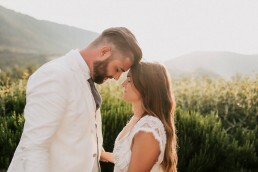 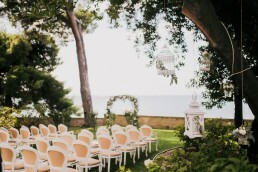 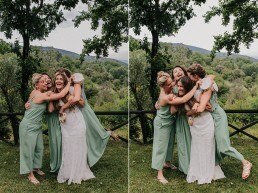 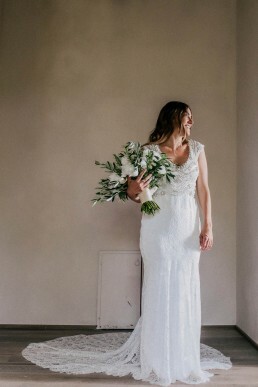 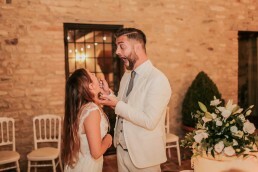 This couple chose villa Tenuta Di Murlo in Umbria as their perfect wedding venue. 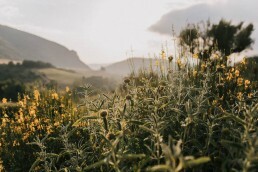 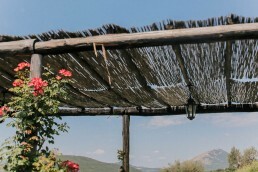 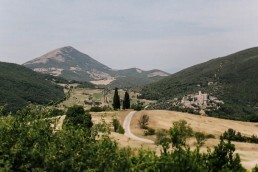 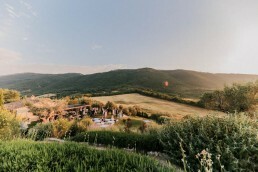 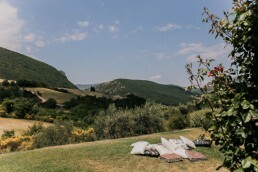 The luxurious villa is located on Umbria’s hills and has a wonderful view of the Italian greenery. 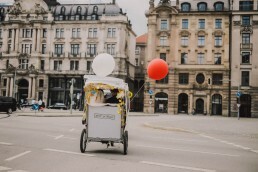 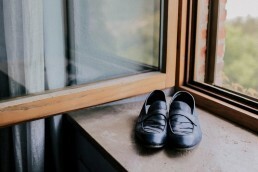 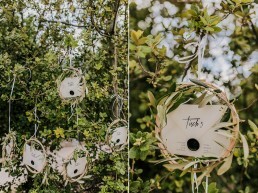 We can definitely say that the wedding planner Das Hochzeitswerk delivered! 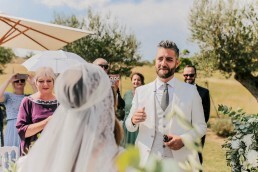 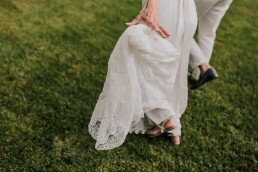 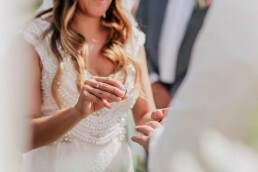 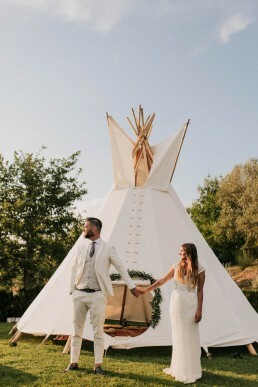 Isabella wore a beautiful Anna Campbell wedding dress embroidered with silver, ivory and pearl toned beading in a romantic and floral motif with Valentino rockstud sandals; while Eric wore a stylish white Joop suit. 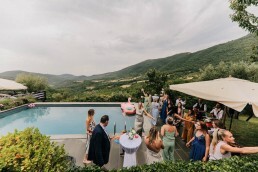 Their guests not only enjoyed the photo-booth, but also had a chance to take a swim in the pool of the villa. 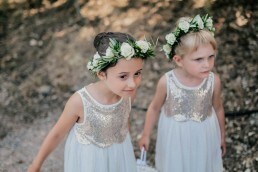 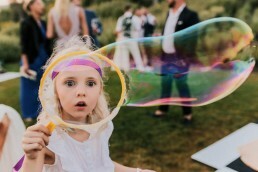 Two little flower girls were the cutest part of the ceremony as they waited for their cue, dressed in glittery dresses and flower tiaras. 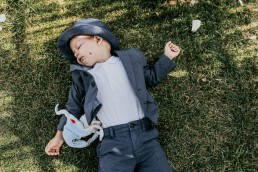 And while everybody was emotional during a beautiful ceremony which took place in the gardens of the villa, one little boy took a chance to take a nap in the grass on such a beautiful day! 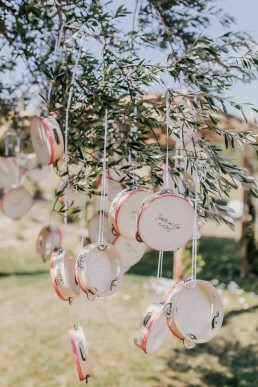 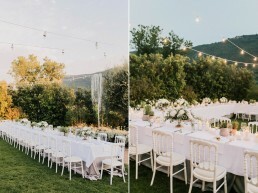 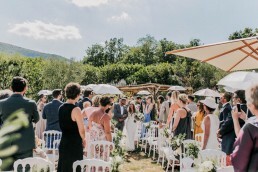 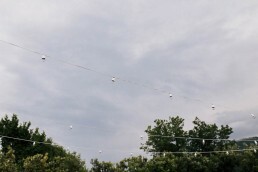 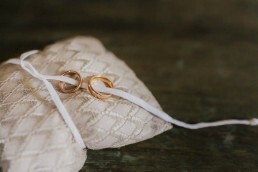 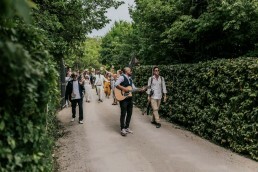 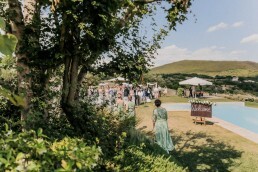 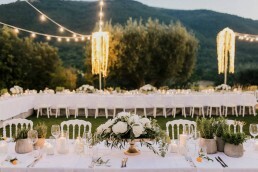 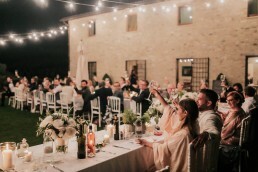 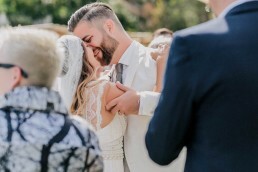 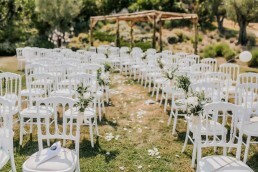 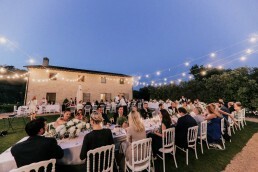 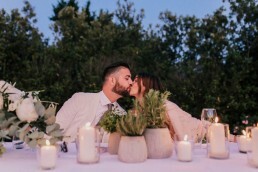 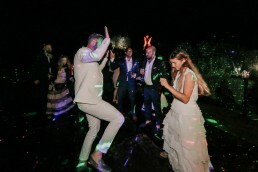 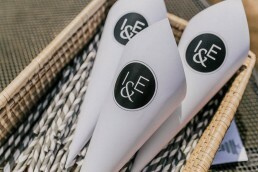 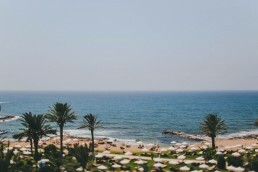 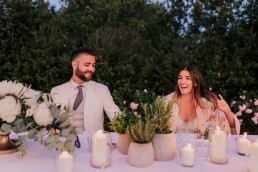 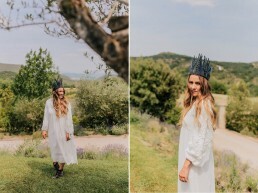 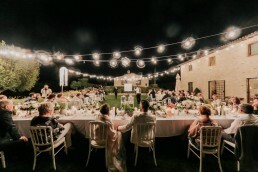 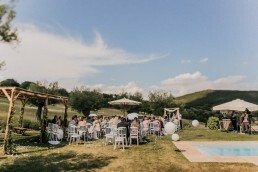 The reception, which had an “Italian summer nights” style, was held in the villa’s backyard, with string lights that gave quite a romantic feel to an already beautiful wedding. 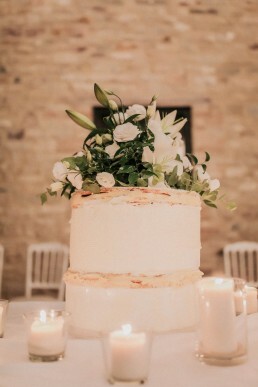 The Italian specialties and a beautiful cake rounded up the dinner. 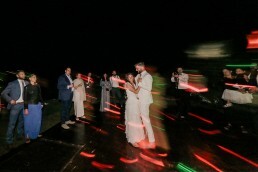 The wedding day ended with a crazy party under the stars!